FLUOBRIGHT, a portmanteau from fluorite and bright, is Canon Optron’s brand name for fluorescent materials created from crystal manufacturing technologies. Materials that emit two colors are named FLUOBRIGHT+ to accentuate their added value. The materials emit one color under UV exposure. 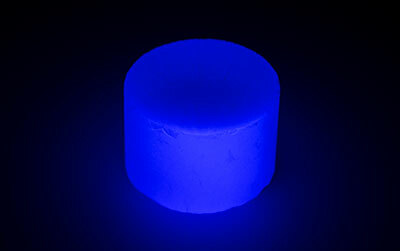 This material emits one of two colors depending on the type of incident UV light. 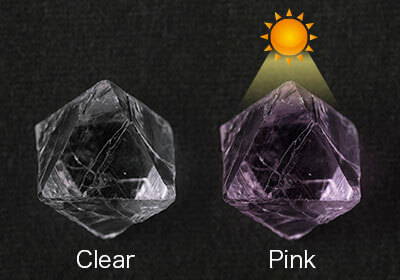 Although they are not a fluorescent material, we offer materials that turn from colorless to pink under natural light . 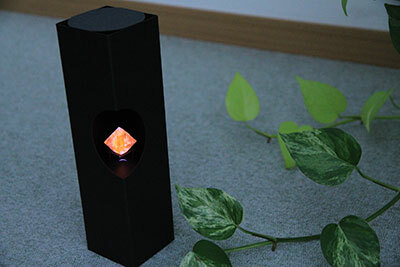 The color change is more pronounced than that of natural stones. FORGERY PREVENTION：Adds value to jewelry and decorative objects. UV Checker：Useful as a checker for the emitted wavelength and irradiated area from UV devices. These materials are also sold as artificial fluorite minerals for decorative display. Please contact Tokyo Science for more information.